» Traditional Media Losing Its Luster? Traditional Media Losing Its Luster? It seems that gone are the good ol’ days of grabbing your morning coffee and sitting down to watch your favorite newscaster. With constantly being on the go and having everything at our finger tips, we’re more apt to grab our news from social sites. Why wait for a reporter to report about a story when you can follow a Twitter feed and get up to the minute happenings? All these available options makes one wonder if traditional media is losing its luster due to more readily available outlets. 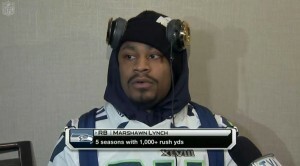 Take the recent media day interview with Marshawn Lynch for example. He makes the point that he connects with his fans through social – he doesn’t need the news outlet to be that bridge. Do you agree?